We are always looking for ways to interest young students in pursuing higher education. By targeting their interests, we hope to inspire their imagination by creating an interactive virtual space where they can interact with a dinosaur excavation site. The goal of this project is to be an educational experience where students can learn about the excavation process, and also be an authentic representation of the quarry and the bones. We managed to finish most of the things we set out to at the beginning of this project. 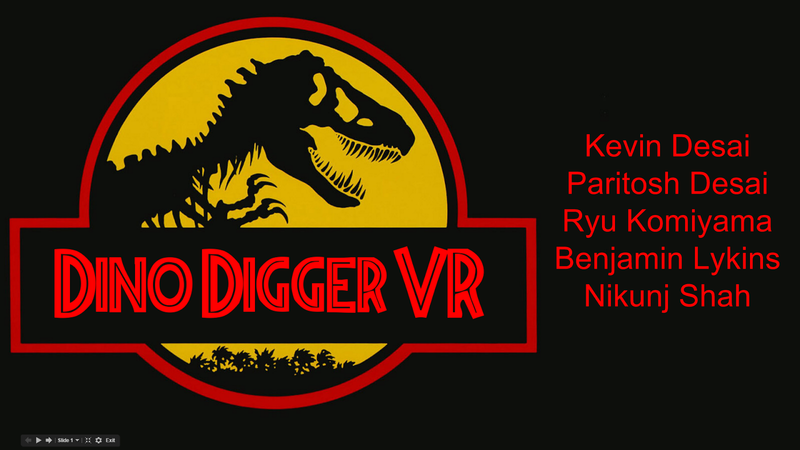 We created a virtual reality application that runs on the Android platform and uses Google Cardboard to represent a virtual dinosaur quarry. 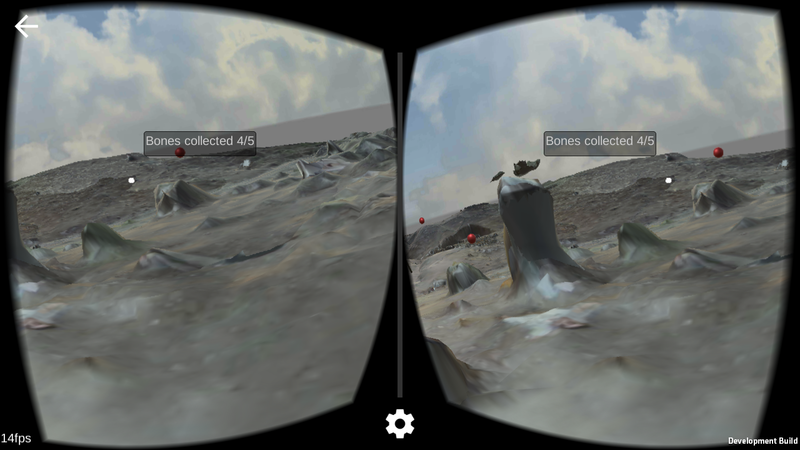 In the app, the user is able to collect bones and move around the quarry by moving to specific points around the environment. Five bones are scattered around the environment that the user can collect. After the bones are collected, the user can go to the tent at the center of the map to complete their objective. The user is then free to roam the environment for further exploration. We also put in educational information about the fossils in the environment as that was part of the project requirements. We talk about the bones as they are being collected, as well as information pertaining to the process of excavating dinosaur bones, and what it is like to occupy an excavation site.